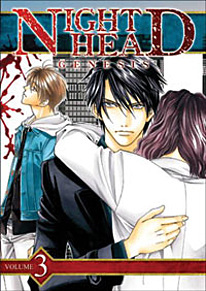 Situations intensify around the supernatural siblings Naoto and Naoya as they become involved in stranger and more serious paranormal cases. Hidden pasts are slowly revealed in the background, and the brothers come to blows with people possessing powers that are more dangerous than ever. Afterwards, an old friend asks for their aid, and giving it means more trouble than they ever realized. By the end of the whole affair, the Kirihara brothers are in for an even greater surprise.